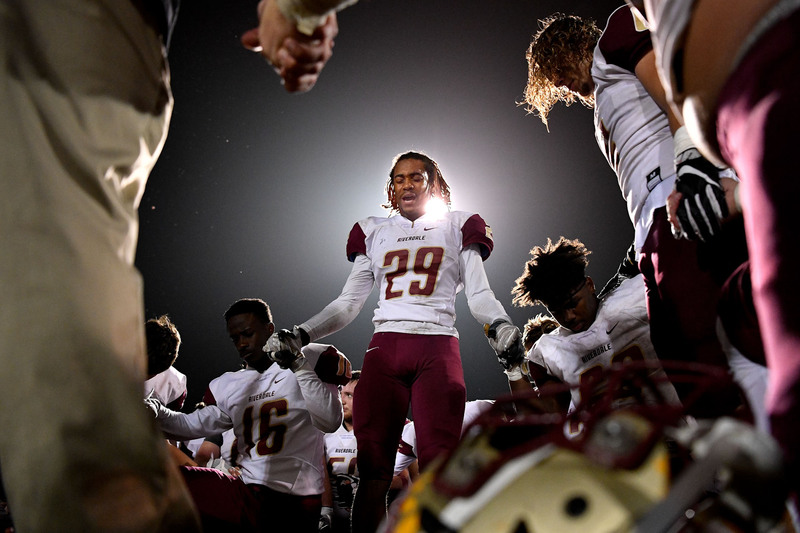 Riverdale's Patrick Holt (29) leads the team in prayer after their victory against Mt. Juliet at Mt. Juliet High School in Mt. Juliet, Tenn., Friday, Nov. 3, 2017.